* Could it charge the Surface when I am working with the device? Yes, it can charge while you are using the Surface, so you can plug it through working hour. 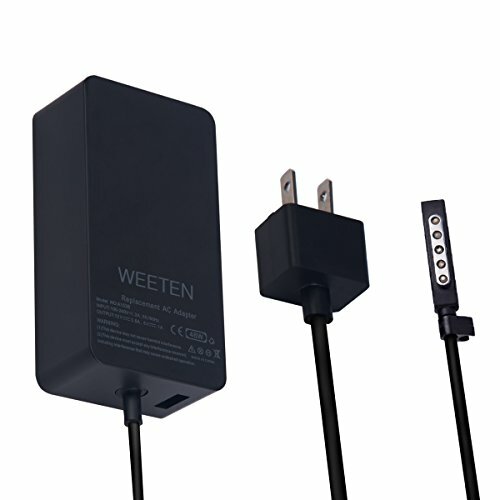 * Is it suitable for my Surface RT/ Surface 2, whose original PSU is 24W 12V 2A. Yes, it is also a replacement for 24W with rapid speed and strong power. If you have any questions about this product by WEETEN, contact us by completing and submitting the form below. If you are looking for a specif part number, please include it with your message.